A new film released on 31 May called The Firefighters’ Dilemma is calling for the government to set national standards to improve emergency response times. The film shows a pensioner trapped inside a burning flat. The first fire engine arrives, but the second is some way behind. The firefighters are desperate to go in and save ‘Alice’ but they are not supposed to enter the building until the back up crew arrives, for their own safety (see notes to editors 3). They get to work but desperation grows as they wait. Alice’s daughter arrives outside her mother’s flat to see it on fire, growing more frantic with every second that passes. Viewers are left not knowing whether Alice – who could be anyone’s mother, wife or neighbour – survives, before being asked to sign a petition calling for the government to improve emergency response times by setting national standards. Emergency response times are at their slowest in two decades due to multiple fire station closures, 10,000 frontline firefighter job losses and the removal of scores of fire engines from service. Fire Brigades Union (FBU) General Secretary Matt Wrack said of The Firefighter’s Dilemma, which was made for the union by Greatcoat Films: “The public need to be made aware that lives are being lost as a direct result of slowing emergency response times. 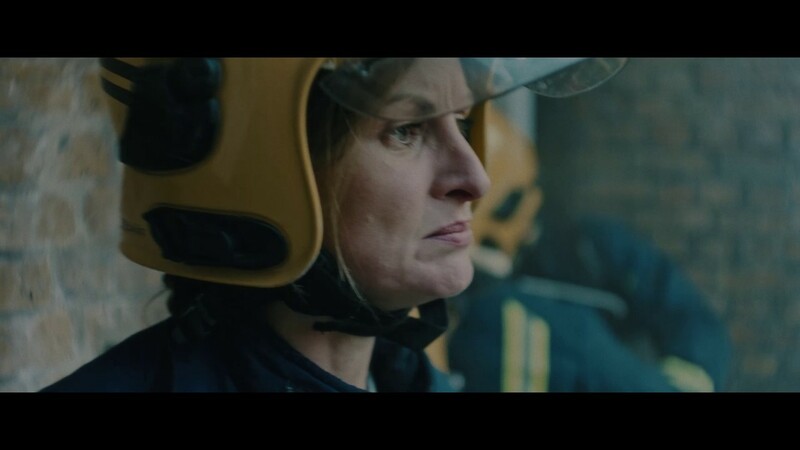 We want this hard hitting film to be shared as widely as possible to spread the message that vulnerable people are being put at serious risk by the late arrival of fire crews.